Is the Poodle (Toy) right for you? Find your perfect match now! Poodles are some of America's favorite dogs. Their name comes from the German word for “puddle” — they were originally bred as water retrievers. That traditional puffy styling was meant to keep their joints warmer while they were fetching their prey from the water. The original Toy Poodles had cushier and more glamorous gigs than their their standard-sized cousins, however — they were circus performers, lap dogs, and buskers! These days, most Poodles are more likely to be companions than anything else. Originally from Central Europe and Germany, this small-sized and medium-energy breed can grow to between 4-6 pounds and lives an average of 10-18 years. The breed is recognized by the American Kennel Club and classified as a member of the Non-Sporting group. WHAT IS A TOY POODLE'S PERSONALITY LIKE? Toy Poodles are playful and love to romp with kids, but be sure to supervise your little ones (furry or otherwise). Their small size means Toy Poodles aren't built for rough play and can be fragile. This breed is loving and eager to please. They're generally happy to meet strangers and get along well with other pets, including dogs, but (like many small dogs) the Toy variety likes to be in charge. WHAT IS TOY POODLE BEHAVIOR LIKE? HOW EASY IS IT TO TRAIN A TOY POODLE? 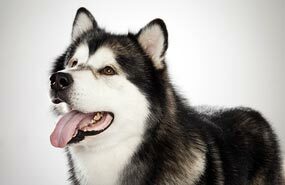 This breed is very amenable to training. Poodles are extremely intelligent and eager to please. Their smarts and amenability make them ideal candidates for social therapy, seeing eye, and service work. These dogs excel in obedience, agility, hunting, and tracking. They can be a bit barky, but their obedience means it shouldn't be hard to discourage nuisance noisemaking. HOW MUCH DO TOY POODLES SHED AND WHAT ARE THEIR GROOMING NEEDS? A Toy Poodle's hair doesn't shed much. If you bring a Poodle home though, you're going to be very good friends with your dog groomer. This breed requires clipping at least every other month. You'll also spend a lot of time brushing her hair to prevent mats and tangles. Miniature and Toy Poodles are also susceptible to orthopedic problems, including slipping kneecaps and circulation disorders. ARE TOY POODLES GOOD FOR PEOPLE WITH ALLERGIES? 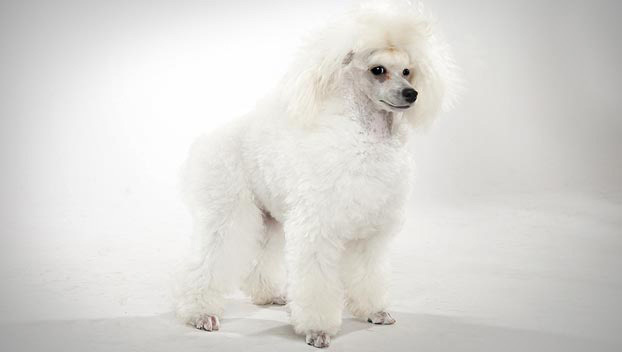 The American Kennel Club lists Toy Poodles among its breeds recommended for allergy sufferers. You can reduce your furry friend's impact on your allergies with frequent baths and brushings to reduce loose hairs and aggravating proteins in your pet's dander. Use a damp cloth to wipe off your dog after you've been playing outside. Smaller dogs have less surface area, and so produce comparatively less dander than larger breeds — definitely something to keep in mind with a dog as tiny as a Toy Poodle! Remember that no breed is 100% hypoallergenic, and any breed can aggravate allergies. WHAT IS A TOY POODLE'S BEST DAY? A Toy Poodle's very best day is going to include a lot of activity. She'll like it best if you can take her to play in the water somewhere, and let her run around until she's run her fill. SHOULD I ADOPT A TOY POODLE? For all their posh appearance, Poodles can live just about anywhere. With enough exercise, they're well suited to apartment dwelling. They don't mind the heat, but they're too teeny to do well in the cold. Admittedly, they do require some serious grooming. But there's a reason these dogs are so popular: they're playful, affectionate, and very, very smart. Train and treat a Poodle right, and she could be your perfect puffball pet. Have you decided that a Toy Poodle is the perfect dog for you? Why not be your new best friend's hero and adopt a rescue! Be sure to check out our article on what to expect when you're adopting a dog or cat.